Thank you for your interest in making a donation. Valley View Vaulters is a non-profit organization under section 501(c)(3) of the Internal Revenue Code. When you make a donation you are helping us meet our mission statement by encouraging and supporting individuals of all ages and abilities through the art and sport of gymnastics on horseback. Many of these individuals may not have the opportunity to participate and compete in this sport otherwise. Your donation plays a vital role in directly helping such dedicated individuals gain access to high quality vaulting instruction that allows them to exceed their expectations, build teamwork, physical strength, coordination, discipline, and self confidence. Your generous donation will also help with the care and maintenance of the horses, as well as the upkeep of the equipment needed for vaulting and the horse stalls. 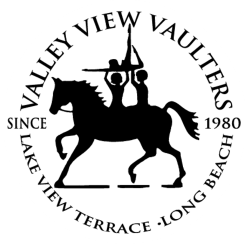 Please review Valley View Vaulters on "Great Nonprofits".